Just because a device is high-profile doesn’t mean it’s the best value for money. If you’re a “smart” user who’s looking for great features and specs that you see on the iPhone 5 and the Samsung Galaxy Note 2 but don’t want to break the bank to get them, then the Acer Cloudmobile could be a phone worth checking out. First unveiled at the Mobile World Congress last February, Acer describes the Cloudmobile as a device that “brings the ultimate balance between style, performance and affordability.” And they couldn’t be more right. The Acer Cloudmobile has an elegant black and silver design that can probably turn the heads of even the most die-hard Samsung Galaxy Note 2 and iPhone 5 users. It’s actually won several design wards including the iF Design Award 2012, Computex Best Design 2012, and Computex Design & Innovation 2012. 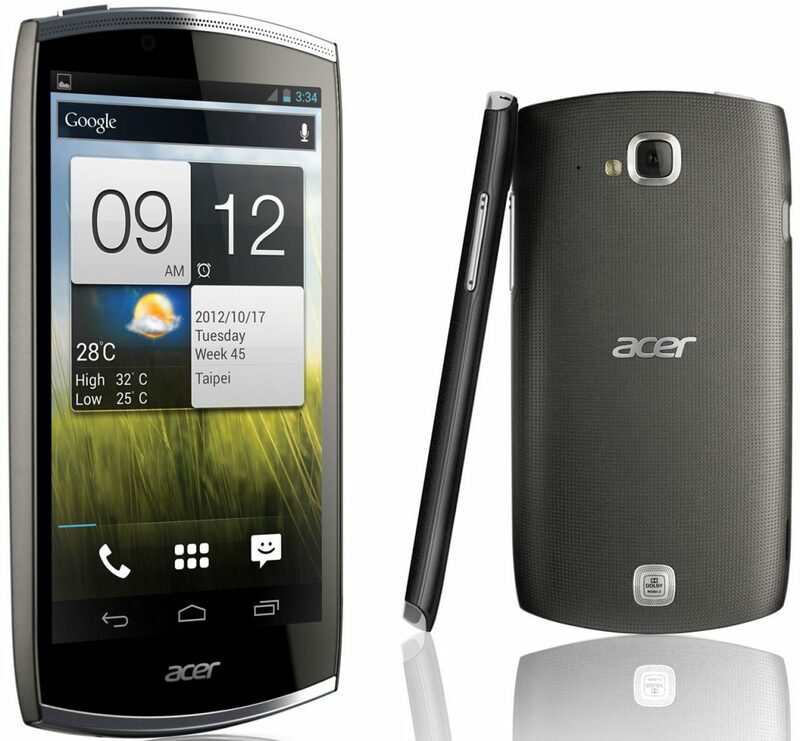 Overall, the Acer Cloudmobile is a sleek looking device with great features at a very low price. It could be a great alternative looking for a cheaper alternative to the Samsung Galaxy Note 2 and the iPhone 5. Would you consider the Acer Cloudmobile over the iPhone 5 or the Galaxy Note 2? Let us know what you think of Acer’s new Android smartphone in the comments below!